It was Burns Night on Friday. Having recently reconnected with my ex-drama college friends prior to us all meeting up in September for a 40 year reunion in Edinburgh, I was party to a lot of facebook status updates and conversations about this culturally significant annual event in Scotland. That got me thinking about how disconnected I feel at times like this from my Scottish culture and heritage, and for the first time, I found myself unaccountably sad. This blog is my reflection on why that might have been. Although I was born, brought up and educated in the West of Scotland (Paisley, if that means anything to anyone), my parents were aspiring middle-class, both being the only children of working class parents. Dad had been taken out of school at 15 to be put to a trade, and became a master carpenter. 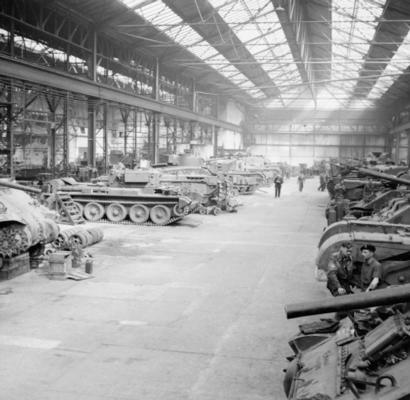 When I first became aware of what my father 'did', he was working in the Drawing Office at the local Ordnance Factory in Bishopton. So, although 'handy around the house', he had moved on from earning a living as a carpenter. As a child growing up, I remember him studying in the evenings and going to 'night school' (whatever that was). And then one day, he was a teacher, having qualified with various HNDs that entitled him to start lecturing at Technical College, which he promptly did. Mum was a clerk/typist and worked in places like local council offices. 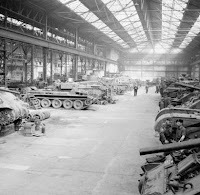 During the war, she had been in REME (the Royal Electrical and Mechanical Engineering corp) - History of REME - and as a child, I was under the fond misapprehension - and told everyone - that my mother repaired tanks during the war! She stopped working when my brother Malcolm and I were young, but returned to part time work when we were considered old enough to get to and from school and eat something by ourselves. Both observant Presbyterians, Mum and Dad ensured that we attended church every week; Malcolm and I went through the obligatory 'Sunday School' route into the youth club, without ever managing to develop any kind of faith and I remain firmly non-religious to this day (more on that later). Mum sang in choirs and with other soloists at Womens Guild meetings, old folks homes and the like. My exposure to Scottish folk culture at home therefore was firmly in the what I now perceive as the safe, middle-class, non-threatening Scottish folk culture represented by artists like Kenneth McKellar - http://www.last.fm/music/Kenneth+McKellar - and Moira Anderson - http://www.last.fm/music/Moira+Anderson . Andy Stewart was just about OK, but we considered the Alexander Brothers a bit common. And real 'folk music' was for hippies and the hairy sweater brigade. When I went to drama college in Edinburgh in 1973, it was just before the end of the era when having a regional accent was considered a hindrance to making progress as an actor - unless one wanted to remain just within the 'Scottish' theatre scene. So learning to speak Southern British Standard (SBS) was de rigeur Phonetics. With hindsight again, this now seems to have been another brick in the wall separating me from my Scottishness. Nowadays of course, regional accents are the norm in all forms of entertainment and, frankly, it never did Sean Connery any harm! And although I did some of my best work as an actor later at Dundee Repertory Theatre, I was already London-based by then, with a hybrid accent, essentially SBS with a Scottish lilt, which confused and still confuses people, and never fitted the mould of what being a Scottish actor seemed to be; never really belonged there. Jump forward to living in Brighton, married to a London girl - and Jewish to boot - and with no large extended family of my own, my sense of my own cultural heritage and background was gradually becoming more and more diluted. Once the children came long, I found myself becoming more and more aware of and involved in the ritual and observance of my wife's rich Jewish family, cultural and religious heritage, although I remain personally non-religious. We have brought both Natasha and Samuel up with a strong sense of themselves as secular Jews in a modern world - they have both had Bat and Bar Mitzvahs and later Cabalat Torah experiences and have been on summer camps and foreign visits with their Jewish peers. They have no issues or misapprehensions about who they are, what their cultural and religious heritage really is and are both very grounded and comfortable in where it fits into their modern daily lives. If you have read my previous blogs you may know my Father died when I was only 27 and my Mother passed away in a nursing home in Ayrshire five years ago. My Brother and his family live in Lincolnshire, so with no extended family still in the country, I have had no reason to visit Scotland - other than for work - since then. Now, if my own journey thus far sounds as though I've been a little passive, an assimilated passenger, if you like, in this story, I would not necessarily disagree with you. I have always thought of - and frequently described myself - as an 'Anglicised Scot', or more realistically, 'British'. On reflection, that's kind of a cop-out. For years, I've been denying the niggling suspicion that I felt culturally and socially stateless, but that that was OK. In truth, I have been suppressing real underlying feelings of disconnect, loneliness and - yes - guilt. 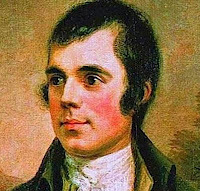 I think that's what Burns Night this year has surfaced for me, why I felt sad and why I felt the need to write this blog. Anyone else similarly culturally challenged, stateless and/or disconnected out there? What's been your experience and what, if anything, have you done about it? Thanks for reading; feel free to comment. Interesting! As a child I lived abroad, learning much of my English from the Foreign/World Service. Later, a young Northern lad, speaking near RP, being a Protestant in Eire had its own issues. Later boarding school in a Northern town, and university in Manchester left me feeling Northern - but different for the way I spoke. Years later, I grew to love the Highlands, and when the opportunity came, I moved to live and work here. Whilst I *am* English by birth, British by citizenship, there's no country I'd rather belong to than Scotland. If when the referendum comes, we vote #Yes, I'll be first in the queue to adopt Scottish nationality by choice. As a friend said, "I wasn't born here, but I got here as soon as I could, and I'll never leave." Steve, thanks for reading and for commenting. Having just come back from Aberdeen for a two-day work trip, I have mixed emotions. A colleague had read this blog and - in her broad Glaswegian accent - told me how she felt similarly stateless, but curiously, has always felt a deep affinity for North Yorshire! And then another colleague told me off for calling Whisky 'Scotch', suggesting that that in itself gave my Sassenachisation away, and that perhaps I was now beyond hope... I'm glad you feel at home in Scotland; I've still got some work to do. Reading your Blog resonated for me in a very different way - as an Englishman living in Engalnd I feel very similar. I went to university in Swansea and have had a soft spot for the Welsh ever since. They seem to know who they are, who they are not and what's important for them. I can't say the same for the English. I don't get a sense of a collective view about who the English are - and if anyone ever tries to define it they usually do so from a negative point of view. Pointing out the differences between the regions (and London in particular) rather than the things that tie us together. As a sports nut the Olympics felt great for me, as it seemed to help bind the whole nation together. I forgot about being English for a while and remembered to be British. Didn't matter if it was Sir Chris, Wiggo, Andy Murray, Our Jess or Mo - I cheered myself hoarse (and in one case live in the Stadium!). I for one would be sad to see Scotland leave the Union - it's people, traditions, music, poetry, soldiers, politicians and sportsmen have contributed so much to 400+ years of MY country's history and culture! Isn't being a Briton enough? Hi Chris, thanks for reading and commenting. Totally with you on the Olympics; I mentioned it and how it made me feel ("Proud to be British") in my blog last year, "How I Felt on my Holidays". And I too would be sad to see the UK broken up by Scotland voting for independence, but it would be good if the result of the referendum - whatever it is - reflected a huge turn-out and was truly the voice of the Scottish people. Born & part-raised in middle England (think Hobbits, it's nicer) we moved to Orkney aged 9 (don't think Orcs) but left behind 2 elder sisters who went to college/uni as the rest of the family moved north. Parents divorced. Then aged 17.5 at the end of school legged it south to London to work and after various jobs & travels met my wife (Irish non-practising Catholic) had our kids then moved to Norfolk (long story). I've just turned 40 so the questions of where's home & what's my culture seem to be large in my mind. Home is where the heart is but I need to return to Orkney to visit and perhaps gain some closure - it's been at least 12yrs since I was there and I have an itch... I suspect home for me will be the place I die. In fact it's an ambition to make sure that I do die in a place that I call home. It's probably all I can do about it I guess! And lets hope that that's a long way off yet David! Thanks for your thoughts. Your comment raises another question in my mind as to what actually constitutes a culture - is it the people, the accent, the landscape, the environment, the weather, the language, the music, the religion(s)...? The list is endless. What I have learned from my Jewish in-laws is that 'being Jewish' is a combination of so many different elements, coming together in the immediate and extended family and a global sense of shared history, racial and religious identity that transcends mere geographical location. Even more to ponder on, methinks. There's something tangibly intangible though... like the smell of the log fire in the room the day after the night before... you know what it is but it's not there to see. What a heart felt post Niall. It resonated with me as Welsh girl, married to a Welsh boy, both of whom feel exiled in England! Mr G's job means we get little choice over where we live and since graduating from university we've lived abroad, spent seven years in Wiltshire (where we still own a house) and now live in Berkshire. I like it here a lot. It's pretty, it's convenient and it's enabled me to set up a new business. But my heart, and my family, remain in Wales. And people in the South East are different to back home. Nobody just chats here - and you know how I like a chat! There's such a strong sense of the Welsh identity and this time of year when the Six Nations rugby is on is when we feel it the most and really hanker for home. It's interesting though that as you create your own family you create your own sense of identity. Your kids are 'secular Jewish' which is a great blend of you and Mandy. And developing that identity is kind of fun and special and unique to each couple/family. Great comment Kate; thanks. My Brother also joined the RAF and he and his Welsh wife have lived all over the world and the UK. He has actively managed to retain a broad Scottish accent and Diane has a lovely Welsh lilt. Mandy, Tash, Sam and I were at his daughter - our niece Laura - 's wedding last weekend, and I have never felt closer to MY immediate family than I did then. The house I now live in is the place I've stayed longer than anywhere else in my life ( 14 years) as I felt so rootless I think I've gone the other way with my 14 year old son by not moving him at all! My husband is also originally Scottish and we both feel a strong connection when we visit Scotland, so maybe the roots are there? Hi Margaret, thanks for posting this - I remember you having some problems posting a comment previously, so appreciate you sticking with it. Unlike you, we never moved around as a family - my Mum and Dad moved once after I was born, from Paisley to the village of Kilbarchan (when I was 3 years old) and that's where we stayed. Even after my Dad passed away, Mum moved to a flat five doors away from the family home. There was always somewhere therefore that my Brother and I called 'Home'. That mattered. Mandy and I have lived in Hove now for over 22 years. We moved from East London and started our own family here. Both of our children have only ever known Hove/Brighton as 'home', and state that that's how they want to keep it! Since Mum passed away and Malcolm and I have sold her flat, there is no longer any tie to the village and, with no close family left, that's been another disconnect for me. That said, this April will be 30 years since Dad passed away, and Malcolm and I are taking some time off to go visit the family grave and also have a wander around old haunts. Should be an intense few days!